The finest Chinese in all London? To those who know where to look, a nice Chinese restaurant is nothing new, whether your turf is Chinatown or Canary Wharf. But the recent launch of three ultra-modern Chinese eateries is stretching London’s perception of just what nice means – and even what Chinese food can be. Opened in December, HKK is a fine-dining restaurant presenting the traditional Chinese banquet as a tasting menu, while similarly new Opium is a dim sum parlour serving up matching cocktails with inventive use of ingredients like ginseng and gingko biloba. Most recent of all is Bo London, the restaurant from Hong Kong Michelin-starred chef Alvin Leung, where Cantonese staple ingredients like ginger and spring onion are given new, deconstructed life as a ‘winter’s garden’ made of bright green mousse sprinkled with dehydrated ginger snow and a soil of dried and shredded morel mushrooms. Bo London – extreme Chinese? “Londoners have a very open mind about food, and Chinese food has always had a very large presence in England,” says Leung. “So far, it has been cheap food like noodles – but fine-dining has not been able to penetrate as quickly.” With Bo London, he aims to change that. Leung is known as the Demon Chef in Hong Kong for his Michelin-starred Bo Innovation restaurant, where traditional Chinese dishes are reimagined as creations like a “molecular” xiao long bao (soup dumpling), an amber emulsion ball that bursts into the precise porky flavour of this Shanghainese classic. In January, he opened Bo London off Regent Street, with a menu that’s been updated to include references to British classics. For example, the Cloud course is diced hamachi served over a bed of rose scented dry ice, its aromatic vapour referring to Britain’s proliferation of rose gardens – and its sesame ponzu foam the colour of an impending rain cloud. “Though the menu is fundamentally different from the one in Hong Kong, there’s always the Chinese element,” Leung says. 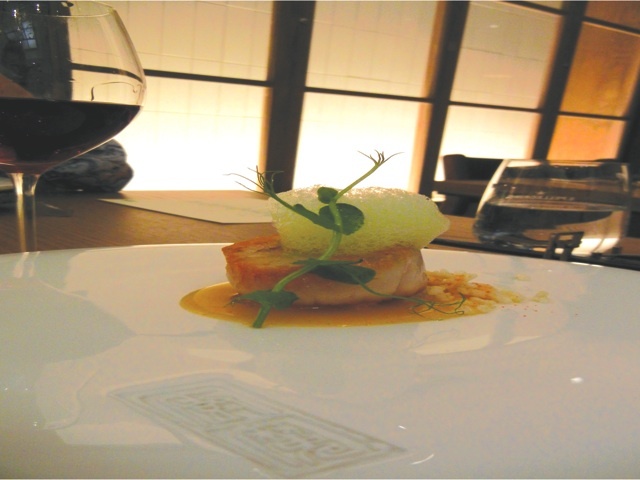 So his 14-course chef’s degustation is built around elements of royal Canton cuisine like scallop and lobster (accompanied by a flavoursome foam) as well as old-school dishes like san choy bow (this one containing pan fried foie gras). 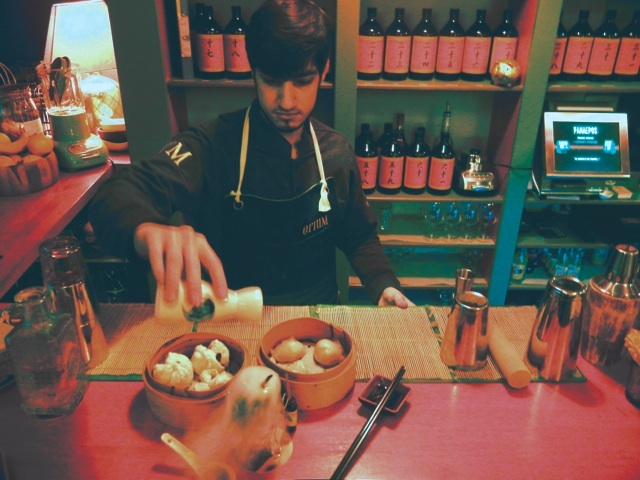 It’s beautifully balanced, fascinating cuisine on its own, but having the frame of reference for the original dish that inspired Leung adds a particular piquancy to the dining experience – and London with its long and loving exposure to Chinese food is a city where it makes sense. On a less extreme level, HKK, a venture from the Hakkasan Group that also owns Michelin-starred Chinese restaurants Hakkasan and Yauatcha, breaks down the traditional banquet into a delicate tasting menu, recreating modern versions of mainstays like Peking duck as a trio of crisped skin, juicy meat and the classic duck wrap. 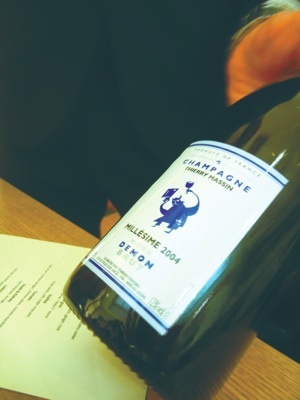 Diners may choose from five, eight or 12-course tasting menus, with a refined wine list to match. As in Bo London, waiters are careful to explain every aspect of every course, including the chef’s preferred method of consuming it. 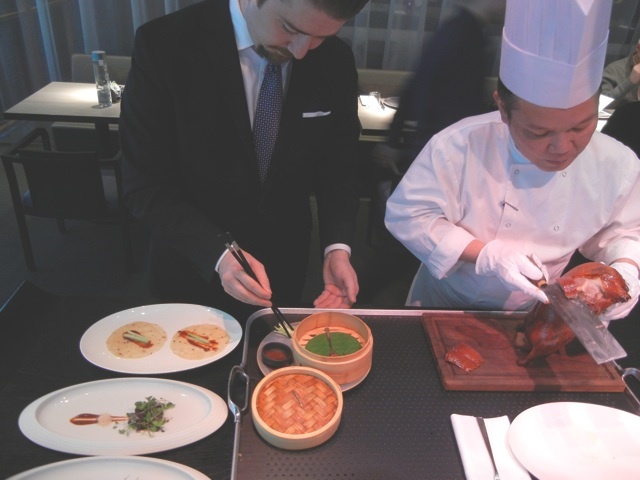 At HKK, this service means that every order of Peking duck involves the ceremonial carving of a new duck on the banquette in the center of the dining room – though the chefs do adhere to the stereotype of waste-not-want-not Chinese cooking by stewing the uneaten parts of the body for a duck soup that comes later in the menu. 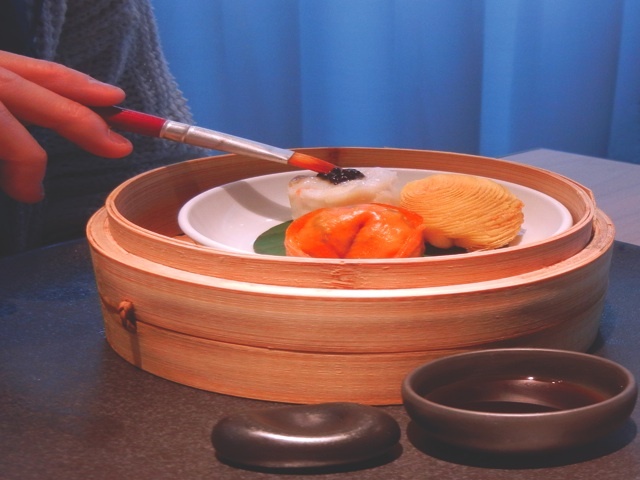 Chef Tung also designs the evolving tasting menu, which currently includes a dim sum trio accompanied by a paintbrush for you to paint on your own soy sauce. Whether that’s gimmicky or genius is up to the diner, but one thing’s certain – it’s taking the view of Chinese food further away from the upfront old school Chinatown restaurants towards the playful, artistic field where fine-dining European cuisine already exists. “With Hakkasan and Yauatcha, we’ve always done something very different from Chinatown and at HKK we offer this extra interaction where there’s theatre in the room,” Hatton says. At Opium, the theatre is taken even more literally, with the ramble-friendly four-room space meticulously decorated in kitschy ode to the speakeasies of 1920s Shanghai. 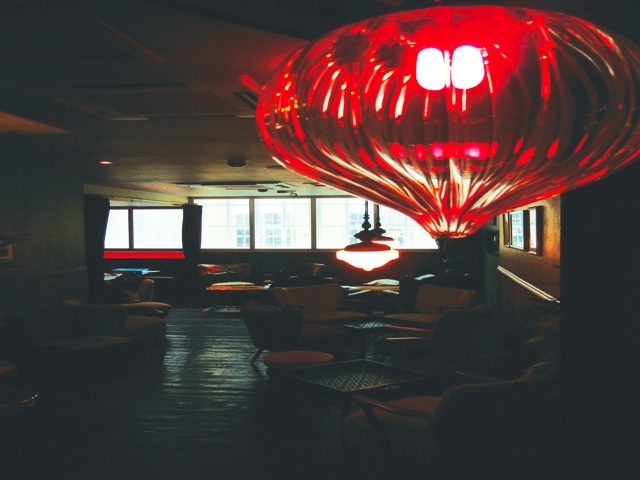 Customers have a choice of the so-called ‘opium den’, casual kitchen-styled bar, or the main cocktail bar – otherwise known as the Apothecary. Here, unmarked bottles labeled only by number in Chinese characters make up the liquors on offer, while bartenders twirl and toss myriad canisters and spouted bottles to create dozens of original cocktails. Cocktails may be uber-Western, but Wu has made sure his setting is extremely Chinese, from the black and white photographs of his parents as children in mainland China, to the wallpapered lounge strewn with authentic bric a brac. At Opium, a dim sum menu as small and tidily formed as the dumplings on offer can be ordered till 2am, and despite an average order going for around 11 pounds, nearly three times the price of the equivalent just outside in the thick of Chinatown, the clientele doesn’t seem to be objecting. Until now, the finer side of Chinese dining in London had been restricted to a handful of hotel restaurants – think China Tang at the Dorchester, or Min Jiang at the Royal Garden Hotel – and the odd lux option in West London. Hakkasan was a pioneer for refined Cantonese cuisine when it opened in 2001. Three years later, Hakkasan Group opened the Yauatcha dim sum restaurant in Soho, a similarly elegant ode to traditional Hong Kong teahouses. But there haven’t been many following in their footsteps – for years, Chinese food in London has been about the value for money, whether it’s a Taiwanese street kitchen such as Leong’s Legends, or Four Seasons, a Canton roast meat restaurant that serves a near-legendary roast duck. In Chinatown where restaurants have a greater opportunity to attract diners out for a Chinese meal, increasing rents year on year have also prevented fine-dining eateries from setting up shop. After all, these restaurants have much higher overheads on ingredients and labour, so the rent outlay must to be comparatively small in order for owners to cover costs and draw profit. As a result, the expectation out of Chinatown has been for Chinese food to come cheap – but HKK and Bo London are going against the grain. 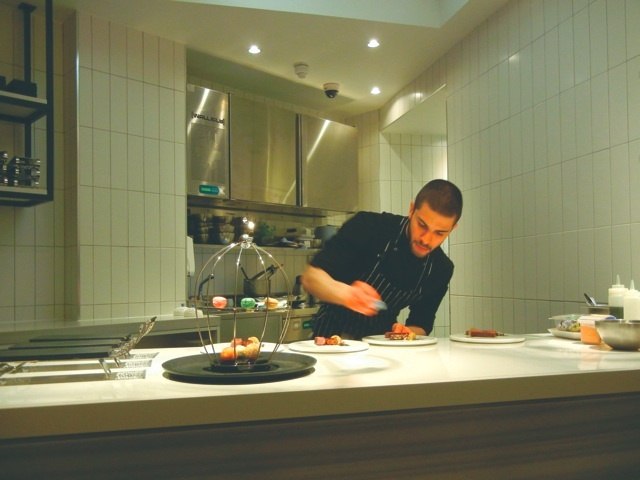 A tasting menu at Bo London starts at 95 pounds for a 12-course dinner, while HKK charges 98 for its 15-course taster. It’s a world away from the garish buffets that still litter Chinatown, or even the 30-for-two at savvier but still low-end restaurants like Leong’s Legends. High-end restaurants such as the Michelin-starred Kai Mayfair get similar stick for being too expensive, yet their – and Bo’s and HKK’s – costs are on par with other fine-dining restaurants, regardless the cuisine. This additional sensory indulgence at restaurants like Bo London, HKK and Opium, whether it’s from the service, the presentation, or the sheer artistry and talent behind the food itself, is heralding a new direction and image for Chinese food in London – and perceptions are changing alongside expectations of what to eat and how much to pay. With three very different new and sophisticated Chinese restaurants now open to lead the way, the taste is there for more to follow. Originally published in China Daily European Weekly, Friday 5 April 2013.